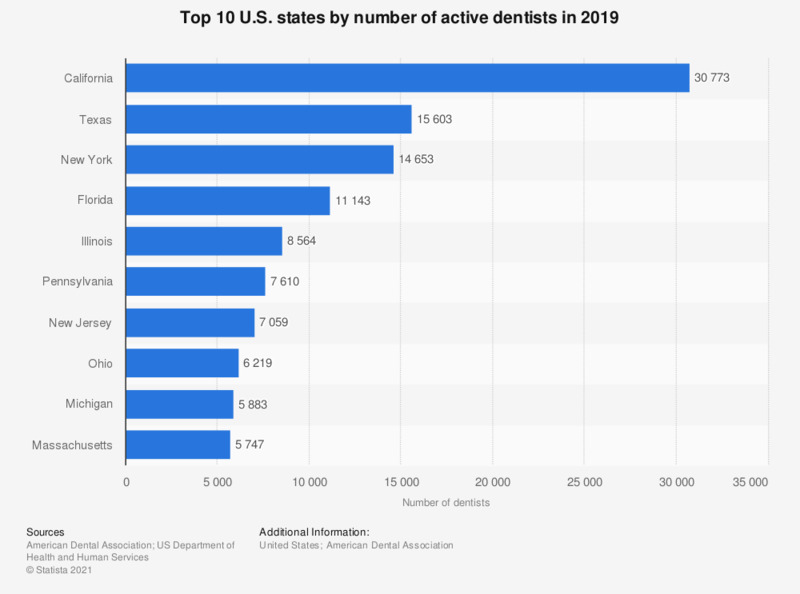 This statistic shows the top 10 U.S. states by number of active dentists in 2016. In that year, with a total number of almost 14,600 active dentists, Texas was ranked second. In total, there were over 196 thousand active dentists in the United States.